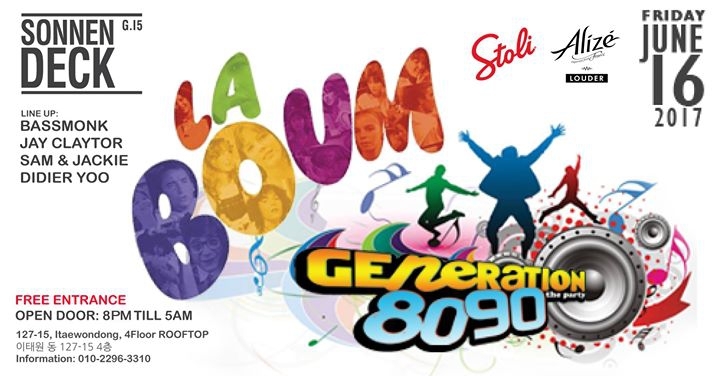 'La Boum' is coming back to Itaewon!!! Based on french-style party from 80/90 generation, come to Sonnendeck and enjoy the music from your teenage years! There is no cover fee, come and have a good moment with us on the trendiest terrace in Itaewon. Everybody is welcome to dance on the top hits from 80s, 90, and much more!